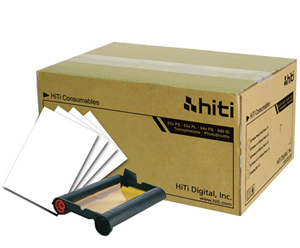 Exclusive new generation dye-sublimation consumables, designed to work perfectly with HiTi Photo Printer S Series. New color ribbon formula advances the color characteristics, and the new photo paper base enhances the image brightness. A transparent resin layer (Magic Coating) protects the photo against water, UV-ray, fingerprint, smear, oxidization, and color fading. 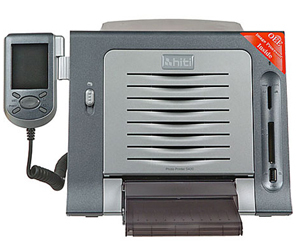 For use with the HiTi S420 or S400 printers. Maximum printing size: 4" x 6"
Optimal Storage Environment: temperature under 75¢XF (25¢XC), relative humidity between 40% and 60% RH, away from sunlight and dust. 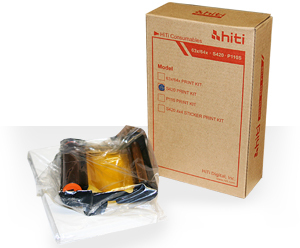 There has been a change at the HiTi manufacturing facility for all the Hiti media for the S420-series printers. 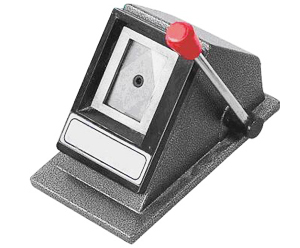 The cleaning kits are no longer necessary, and have stopped shipping with the printers. Manufacturing advances in the quality and makeup of the media itself have taken us to the point where this often troublesome step is no longer necessary. Please go to your controller and disable the cleaning requirement. This will cause the printer to stop "prompting" for the cleaning process. This change is effective immediately. Thank You. The one I want to purchase is : 10 of Hiti 4x6" photo (12 packs -50 prints each pack ) for the S420 snapshot printer - 600 total prints.